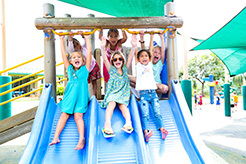 LJA is committed to offering a nurturing learning environment and rigorous academics to develop the whole child both academically and personally. 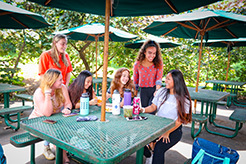 As the first International Baccalaureate (IB) World School in Hawaii, we remain at the forefront of best teaching and learning practices to develop knowledgeable, responsible, and caring young people who help to create a more peaceful and sustainable world through understanding, stewardship, and respect. 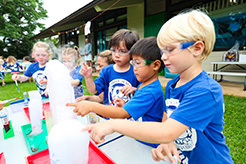 Our emphasis on inquiry, self-directed learning, and differentiated instruction promotes lifelong learning while the practice of thinking, social, communication, research, and self-management skills prepares students for the challenges of the 21st century. 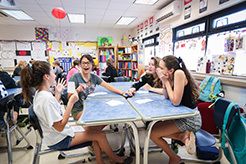 LJA's concept-based curriculum provides authentic outlets for students to share their understanding. Acting on learning through local, national, or global issues is present throughout all three of our IB programmes. 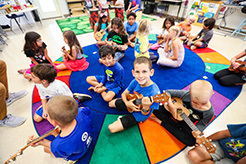 Students have a variety of opportunities to inquiry into the arts, languages, social studies, mathematics, technology and design, sciences, and physical, social, and health education.